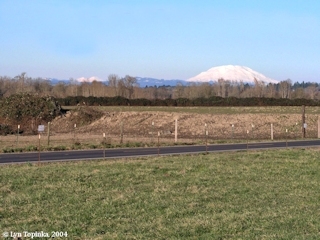 Click image to enlarge Mount Rainier (left) and Mount St. Helens (right), Washington, from Blurock Landing, Washington. Image taken February 11, 2004. 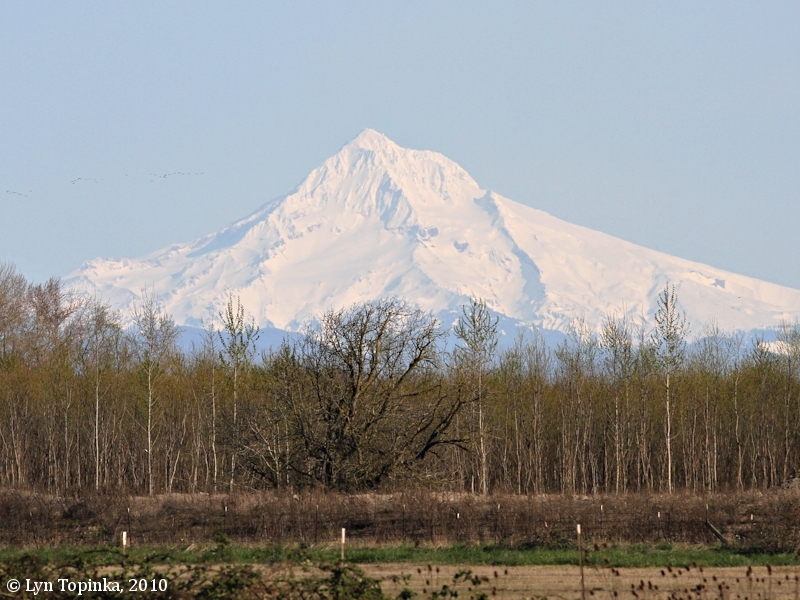 Visible were two peaks in Oregon -- Mount Jefferson, which Lewis and Clark had only seen and named three days earlier, and Mount Hood. 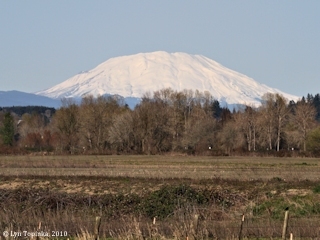 Visible in Washington State were three peaks -- Mount St. Helens, the "high humped Mountain to the East of Mt St. Helians" which is Mount Adams, and further north is Mount Rainier. The mouth of the Willamette River, where Lewis and Clark saw all five volcanoes, is located across from Blurock Landing, Washington. 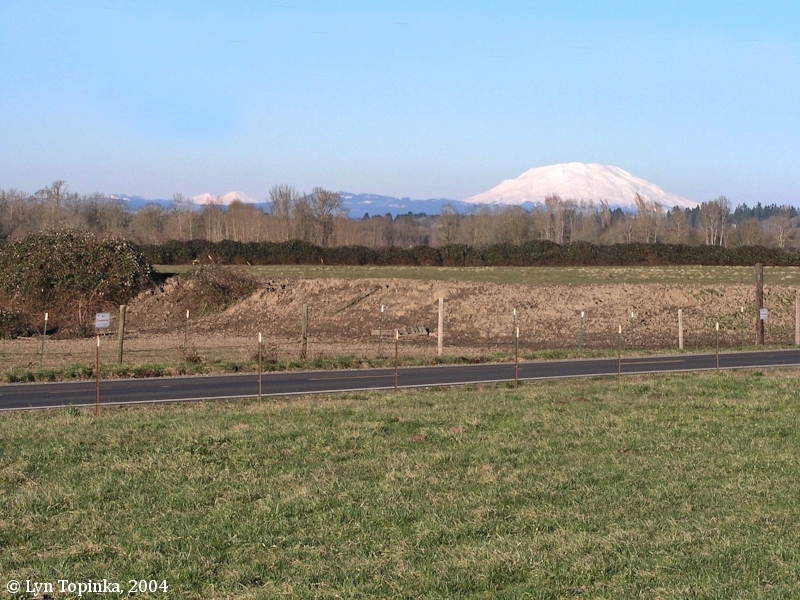 At Blurock Landing, all five volcanoes can be seen from the parking lot. 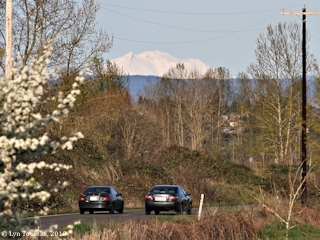 Nearby is Vancouver Lake, a spot where all five volcanoes can be seen from the beach. Click image to enlarge Mount Jefferson, Oregon, from Blurock Landing, Washington. 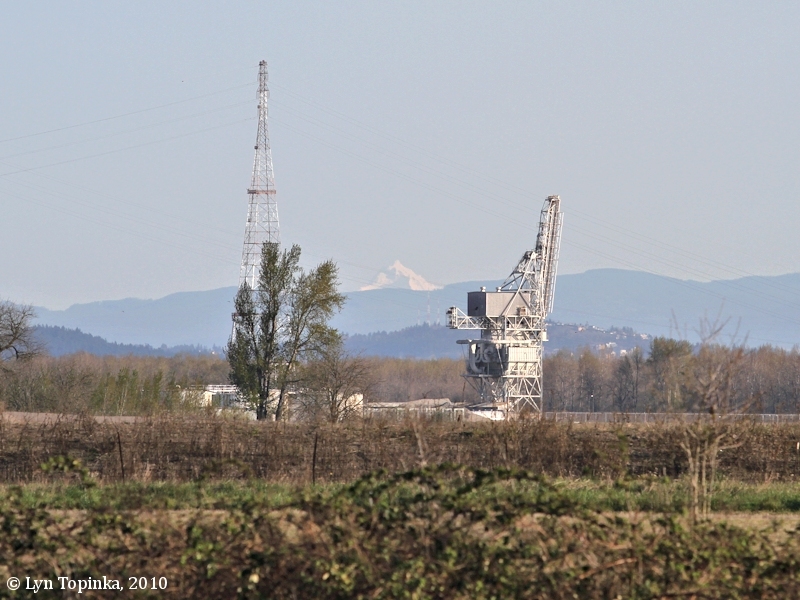 Image taken March 19, 2010. "... from the enterance of this river, I can plainly See Mt. Jefferson which is high and Covered with snow S.E. ..."
Click image to enlarge Mount Hood, Oregon, from Blurock Landing, Washington. Image taken March 19, 2010. "... Mt. 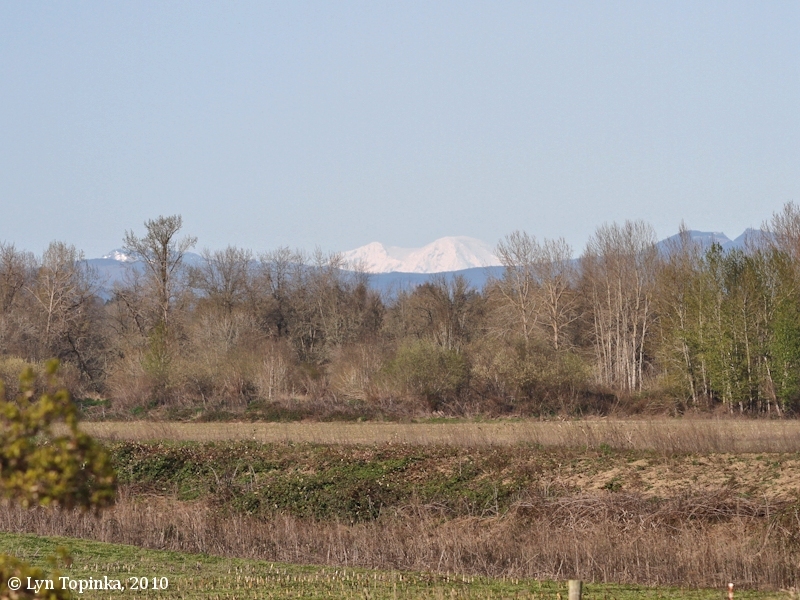 Hood East ..."
Click image to enlarge Mount St. Helens, Washington, from Blurock Landing, Washington. Image taken March 19, 2010. 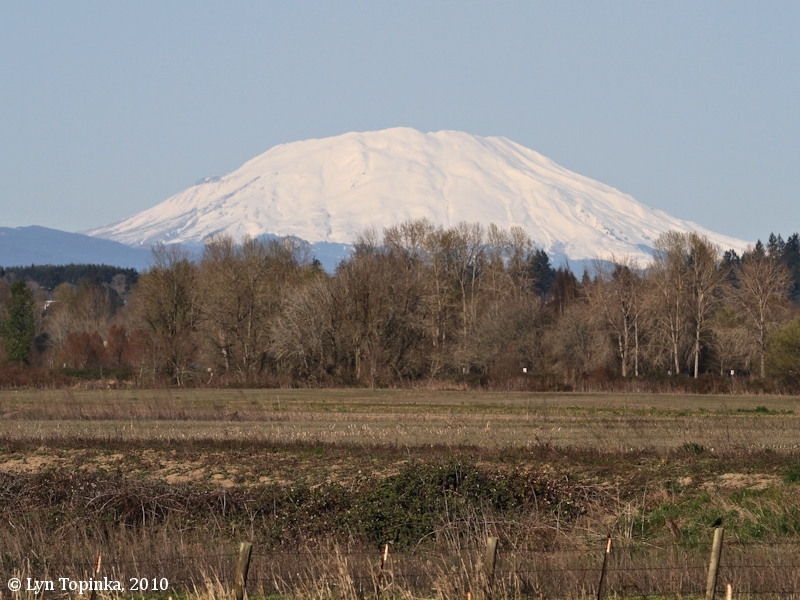 "... Mt St. Helians ..."
Click image to enlarge Mount Adams, Washington, from Blurock Landing, Washington. Image taken March 19, 2010. "... a high humped Mountain to the East of Mt St. Helians ..."
Click image to enlarge Mount Rainier, Washington, from Blurock Landing, Washington. 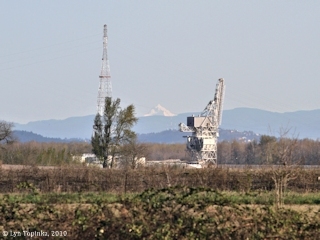 Image taken March 19, 2010. "... I also Saw the Mt. Raneer Nearly North ..."